IBPS (Institute of Banking Personnel Selection) conducting RRB Officer Scale-I PO Exam 2013 today (21 Sept) and tomorrow (22 Sept, 2013). As per the schedule, the result of IBPS RRB Officer Scale-I PO Exam 2013 will be available within a month or earlier on the official website of IBPS. Candidates appearing in this exam can check our website Freshersplus.com time to time for any update regarding the results, answer key, cut-off, admit card etc. We will publish all such updates when they release officially or issued any official notification on their site. 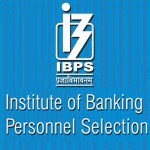 You can visit this page or official website of IBPS – http://ibps.in for any more updates.